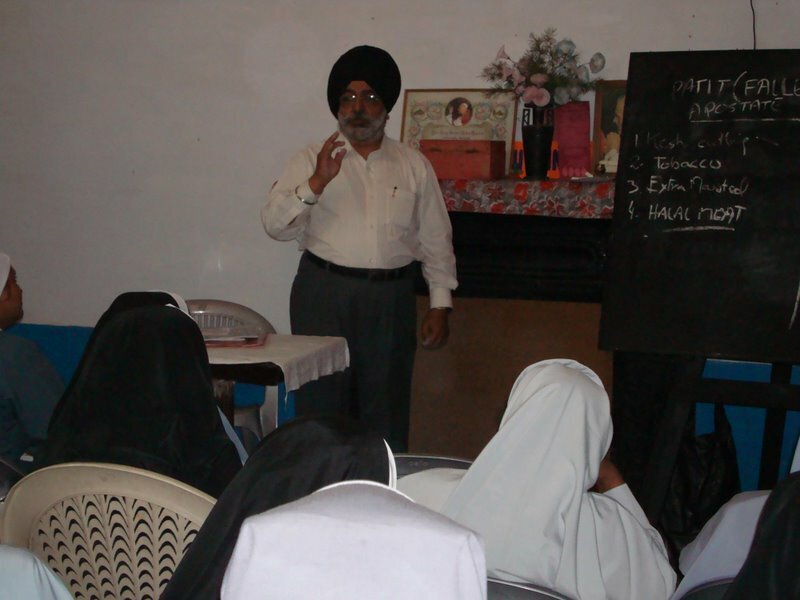 With a view to have proper appreciation of the Sikhs and Sikhism a special learning session was arranged by Rev. Fr. 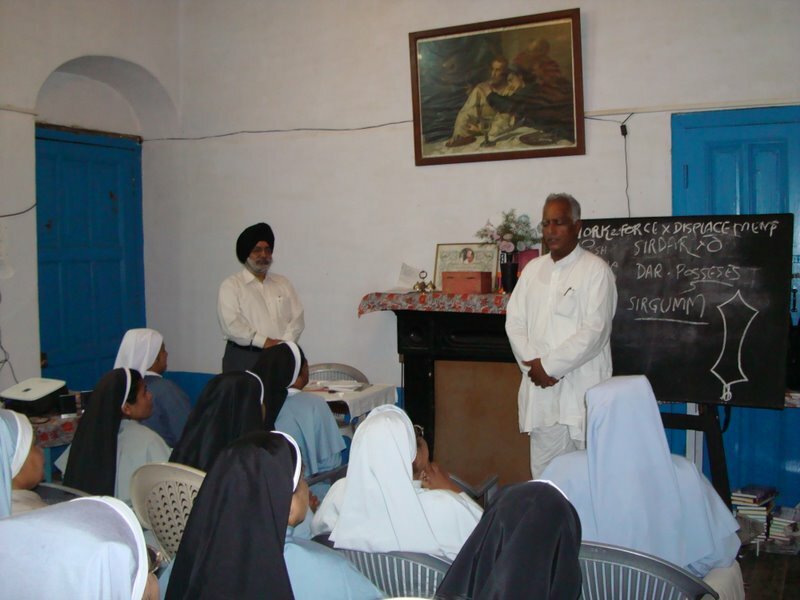 Joseph Puthenpura at St. Francis Church, Dalhousie on 14th June, 2008 under the aegis of the Diocesan Board of Education. The seminar was attended by more than thirty Principals of different Convent schools and was addressed by Sardar Gurcharanjit Singh Lamba, leading Sikh scholar and Editor of the community journal Sant Sipahi. 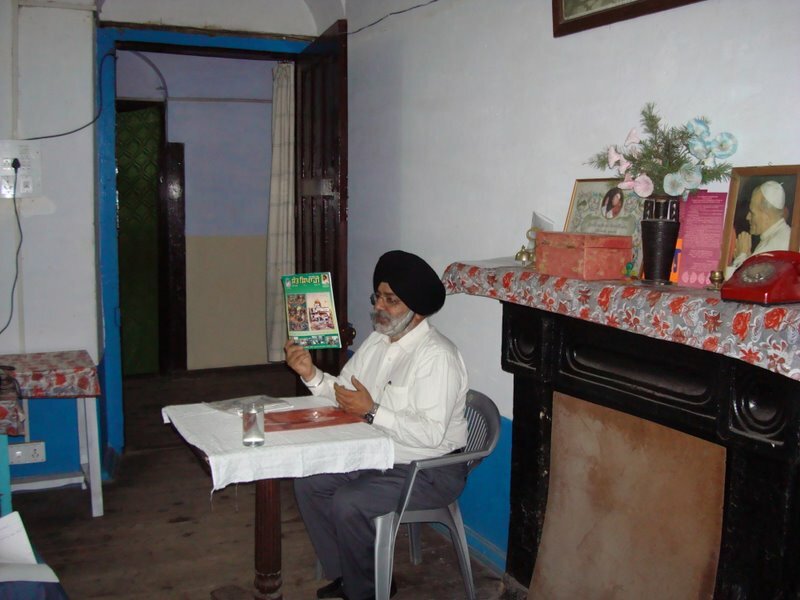 The Principals mainly hailing from South India and also being senior functionaries were eager and appreciative enough to get the finer points of i) Basic teachings of Sikh Gurus, ii) Sikh religious traditions and practices, and iii) Sacred Sikh symbols and their relevance in the day to day life of an Amritdhari Sikh. The seminar had two sessions of more than an hour each. It was a unique experience where the Principals participated as students and listening with apt attention were taking elaborative notes of the address. S. Lamba appraised them in detail about the Sikh concept of Oneness of God, and that the Creator is One and rest everything is His creation. Guru Nanak Dev ji was so strong in belief of monotheism that he went on to say that even if God wants to create another God, He will not be able to do that. He further said that a religious person cannot have a compartmentalized life. It should flow everywhere uniformally be it personal, family, social or business life. S. Lamba further emphasised on the need and significance of the sacred symbols of the Sikhs. It was a unique and welcoming experience by the speaker and the participants where the focus was on knowing Sikhism in its true perspective. 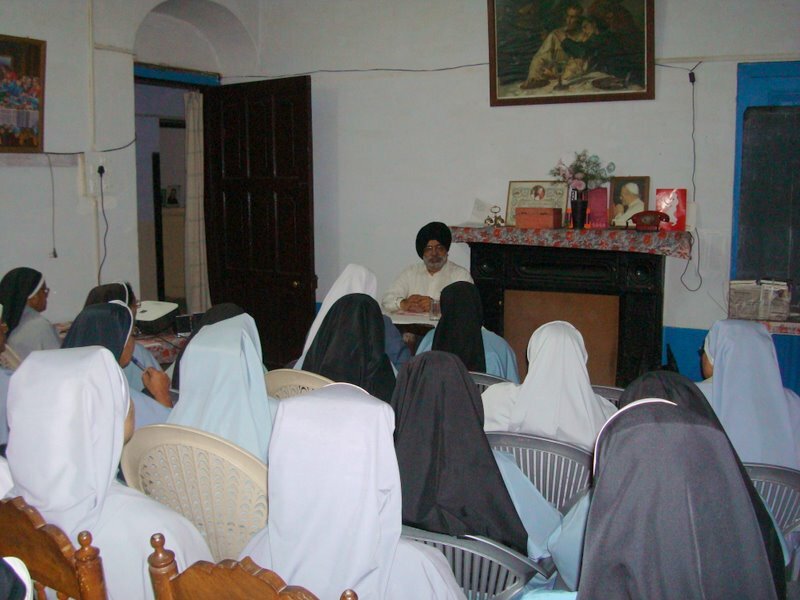 Especially when a lot of kids from the Sikh families study in the the Convent Schools it was important for the Principals to be apprised of the true essense of Sikhism and its symbolism. After lecutre sessions Sister Anny gave the vote of thanks which was overwhelming with affectionate words for the talk and the speaker. “We acknowledge that you are a gift from God. You awakened us and helped us to go deep into Sikhism and its important teachings”, said Sister Anny in her speech. She further said, “We are very pleased with the teachings of Guru Nanak Devji who knew Jesus and imbibed his teachings in personal life. His great vision and dedication for the humanity is adorable and touching. 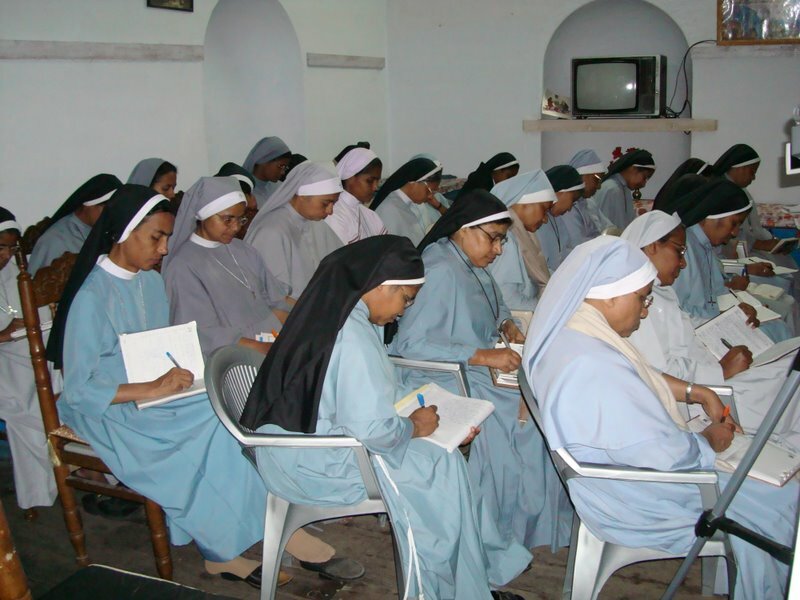 We believe that the Holy Scripture which has withstood centuries of practice to be read and applied in one’s own life. It must be imparted to the coming generations as well. All of us basically from southern part of India have been really enriched by your teaching with regard to the various symbols, their significance in every Sikh’s life. It obviously gave us the necessary input to respect and revere the Sikh sentiments in the days to come”. After Sister Anny concluded the session with her vote of thanks, Fr. Joseph stood up and said that normally after the vote of thanks there is no need to say anything else, but he would also like to give a second vote of thanks to Mr. Lamba. 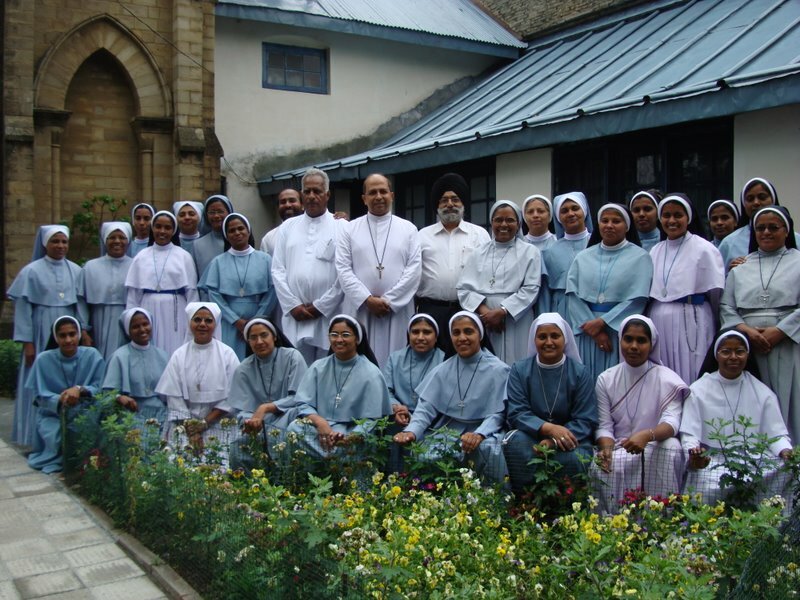 Since a number of Sikh students are in the mission schools, Fr. Jose asked the Principals to ensure the copy of the Sikh Rahit Maryada is also on their tables for consultation in case of need. Later talking to Mr. Lamba, Fr. Joseph said that having listened to him he now does not see kirpan as a knife or a weapon but appreciates its spiritual signficance, and it being a sacred blessing from the Lord. He also said that he was satisfied that the talk, though very scholarly, was imparted in such a simple and lighter way that the class was fresh from start to the end. At this occasion set of books on Sikhism were presented to the participants on behalf of Dharam Parchar Committee of the SGPC and Daily Ajit Newspaper Group. Later Rev. Bishop of the region also blessed the meet and joined for a group photograph.